It’s not just a storage tank, either; radioactive water has been leaking for more than two years, from the broken reactor buildings into groundwater and the Pacific Ocean. It’s not just a local Japanese problem: Fukushima is here. Highly radioactive water seeping into the ocean from Japan’s crippled Fukushima nuclear plant is creating an “emergency” that the operator is struggling to contain, an official from the country’s nuclear watchdog said Monday. This contaminated groundwater has breached an underground barrier, is rising toward the surface and is exceeding legal limits of radioactive discharge, Shinji Kinjo, head of a Nuclear Regulatory Authority task force, told Reuters. Countermeasures planned by Tokyo Electric Power Co (Tepco) are only a temporary solution, he said. Rianne Teule, a nuclear campaigner for Greenpeace International, says the issue is a serious environmental concern. “Most of all it proves TEPCO is incapable of dealing with this situation and that the Japanese authorities should really step in and ensure that proper action is taken to stop the leaks,” said Teule. But it is not clear what other actions TEPCO could take at this point. Former Nuclear power plant designer Masashi Goto worked on several projects with TEPCO. This entry was posted in EPA, Government, Nuclear, Safety and tagged currents, EPA, fish, Fukushima, Georgia, Government, groundwater, health, LAKE, leak, Lowndes Area Knowledge Exchange, Lowndes County, Nuclear, Pacific Ocean, Safety, Valdosta on August 6, 2013 by John S. Quarterman. First public update since May: Valdosta has had several recent meetings with other governmental groups and has agreed to co-fund a flooding study by the U.S. Army Corps of Engineers. The City of Valdosta hosted a Regional Flood Preparedness meeting with the Georgia Silver Jackets on June 25—a continuation of discussions that began earlier in the year focused on regional interests and on maximizing area resources. Representatives from the cities of Moultrie, Sylvester, Tifton and Valdosta and from the counties of Lowndes and Turner attended the meeting to discuss current and future flood monitoring and forecasting issues throughout the Little River and Withlacoochee River watersheds. These two watersheds are part of the overall Suwannee Basin that is approximately 10,000 square miles in Georgia and Florida. This entry was posted in Environment, EPA, Florida, GA DNR, Georgia, Government, History, Lowndes County Commission, Planning, SGRC, Valdosta City Council, Water, WCTV and tagged basin, drainage, Environment, EPA, FEMA, flood, Florida, GA DNR, GEFA, Georgia, Government, History, LAKE, Lowndes Area Knowledge Exchange, Lowndes County, Lowndes County Commission, NWS, Planning, SGRC, Tift County, Tifton, USACE, USGS, Valdosta, Valdosta City Council, Water, watershed, WCTV on July 23, 2013 by John S. Quarterman. Valdosta is finally announcing the 11 April 2013 watershed-wide flooding meeting organized by the Army Corps of Engineers. 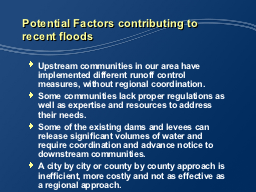 The City of Valdosta initiated planning discussions recently that brought together representatives from key local, state and federal agencies to seek solutions to a regional flood issue. This entry was posted in Environment, EPA, GA DNR, Government, History, Lowndes County Commission, Planning, SGRC, Valdosta City Council, Water, WCTV and tagged basin, drainage, Environment, FEMA, flood, GEFA, Georgia, Government, History, LAKE, Lowndes Area Knowledge Exchange, Lowndes County, Lowndes County Commission, NWS, Planning, SGRC, Tift County, Tifton, USACE, USGS, Valdosta, Valdosta City Council, Water, watershed, WCTV on May 2, 2013 by John S. Quarterman. This entry was posted in Activism, Code Enforcement, Community, Economy, Elections, Environment, EPA, Georgia, Government, KLVB, Law, Planning, Politics, Pollution, SPLOST, Sustainability, Valdosta City Council, Water and tagged Code Enforcement, Community, Economy, Elections, Environment, EPA, FEMA, flood, Gabe Fisher, Georgia, Government, Great American Cleanup, KLVB, LAKE, Law, Lowndes Area Knowledge Exchange, Lowndes County, MOST, Planning, Politics, Pollution, sewage, SPLOST, Sustainability, tax, Tim Carroll, Utilities, Valdosta, Valdosta City Council, Water, Withlacoochee River, Withlacoochee wasterwater treatment plant on March 13, 2013 by admin. “You know how bad it smells in a bathroom when someone goes in and uses a public restroom. Multiple that ten times,” said Chad Harrison, a local resident. The whole area behind their houses is just covered in raw sewage. Your boots sink down into it with every step. We’re talking everything from human waste, to toilet paper, to hygiene products and a whole other list of things that are just too graphic to mention. This entry was posted in Activism, Code Enforcement, Community, Economy, Elections, Environment, EPA, Georgia, Government, Law, Planning, Politics, Pollution, SPLOST, Sustainability, Valdosta City Council, VDT, Water, WCTV and tagged Chad Harrison, Code Enforcement, Community, Economy, Elections, Environment, EPA, FEMA, flood, Gabe Fisher, Georgia, Government, Greg Gullberg, LAKE, Law, Lowndes Area Knowledge Exchange, Lowndes County, MOST, Planning, Politics, Pollution, sewage, SPLOST, Sustainability, tax, Tim Carroll, Utilities, Valdosta, Valdosta City Council, VDT, Water, WCTV, Withlacoochee River, Withlacoochee wasterwater treatment plant on March 4, 2013 by admin. This entry was posted in Code Enforcement, Community, Economy, Elections, Environment, EPA, Georgia, Government, Law, Planning, Politics, Pollution, SPLOST, Sustainability, Valdosta City Council, VDT, Water, WCTV and tagged Code Enforcement, Community, Economy, Elections, Environment, EPA, FEMA, flood, Floridan Aquifer, Freedom Park, Georgia, Government, LAKE, Law, Lowndes Area Knowledge Exchange, Lowndes County, MOST, Planning, Politics, Pollution, Sementha Matthews, sewage, SPLOST, Sustainability, tax, Tim Carroll, Utilities, Valdosta, Valdosta City Council, VDT, Water, WCTV, Withlacoochee River, Withlacoochee wasterwater treatment plant on March 4, 2013 by admin.